Padar is a small island located among Komodo and Rinca islands within Komodo archipelago, administrated under the West Manggarai Regency, East Nusa Tenggara Province Indonesia. It is the third biggest island part of Komodo National Park. The Komodo archipelago is famous for Komodo Dragon, giant lizards that can measure up to 3 metres (9.8 ft) long. on the other hand, not like nearest islands of Komodo and Rinca that are teeming with the ferocious lizards, on Padar island the Komodo dragon is extinct. The topography of the island is rugged, with steep volcanic mountains and hills set against deep bays. Padar has dry climate, with only bushes and grassland vegetation covering the island, creating savanna hills. Padar island has four deep bays with beaches in different colors, most of them are white sands, while some beaches has grey and pink sands. Padar is typically savannah-covered, surreal landscape fringed by bright green-capped mountains of fairy-tale shapes. It’s all surrounded by three turquoise bays, and curiously, each one of the bays’ beaches has different coloured sand: One is pearly white, another charcoal black, and a third is a very rare baby pink. It is a rare mixture, a quirk of this unique island. The black-sanded beach has volcanic origin, composed of a variety of dark minerals. The pink, one of a few in the world, has pulverized red coral mixed with white sand. And the white one, in most any other setting would be a spectacular find. Here, it approximately plays third fiddle. Padar is home to a remarkable array of wildlife, particularly for its size. There are six species of shark, and two of manta rays, and many different reptiles. There once were three kinds of Komodo dragons here. (They are gone now, but still found on Komodo, Rinca, Gili Montang, Gili Dasami, and Flores.) There are dolphins, the occasional whale, falcons, kites, geckos, and green turtles. And then there are some plain old little mammals, to feed their neighbor predators. Visitors can do a 30 minute hike to Padar’s summit to see a panoramic view of the island, go trekking for approximately an hour, snorkel or just hit the pristine tri-colored beaches. Labuan Bajo is the nearby city, and there is tours departure daily for one, two, or three-day visits. The greatest time is from April to June, and from September to November. Bring sunscreen, sunglasses, good hiking shoes, a hat, plenty of water and get ready for some serious 30-foot do exercises uphill. The Komodo dragon or the Komodo monitor (Varanus Komodensis) is a giant monitor lizard found in Komodo island, a small semi-arid island lacated between the island of Sumbawa and Flores. The prehistoric animal can also be found in several other islands including Rinca island, gilimotang island, nusa kode, and padar in the Indonsian achipelago. The Komodo Dragon, which is called ”Ora’ by the local people, is considered the largest lizard and the last of their kind remaining in the word today. It can grow up to 3 to 4 meters in lenght and run at the speed of up to 18 to 20 kilometers per hour, and they can climbing the trees and also they can dive very well. The komodo dragon like canibal they eat each other the big one eat small one or their parents eat their baby. The komodo dragon use their forked tongue to sample the air for scents. Their eyesight is good for distinguishing movement and collor as far away as 300 meters (980) except in low light. Despite their visible earholes, they are only able to hear sounds between 400hz up to 2000hz. The giant monitor lizards, whose ancestors roamed the earth half a million years ago, are characterized by their short legs with large talons, a stout body and very long tails that can be used as weapon to crush an opponet. Preferring hot and dry places, the Komodo Dragons typically live in dry open grassland, savanna, and tropical forest at low elevations. They are solitary animals and usually come together only to mate and feed on carrion. They sleep in caves or in gullies and among tree roots at night, and come out to feed in the morning. Female Komodo Dragons can lay from 20 up to 30 eggs in a hole in the ground. Komodo Dragons diet consists of a variety of animals species. Young Komodo Dragons normally feed on insects and small lizards. However, they begin to eat mice and other small mammals as they grow older. 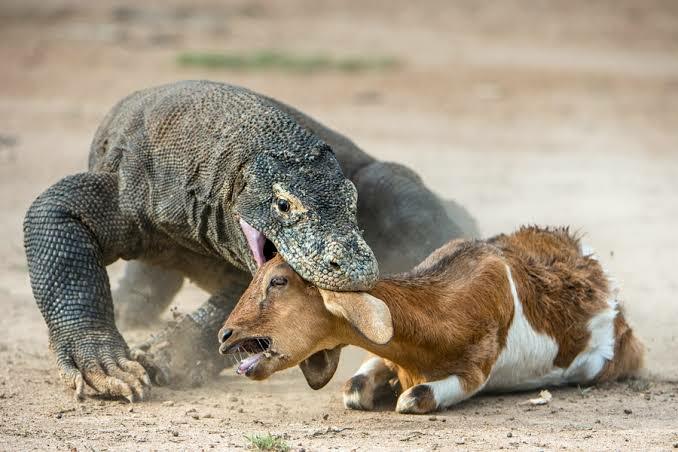 Adult Komodo Dragons prey on bigger animals such as pigs, goats, deer, young buffaloes, and horses. 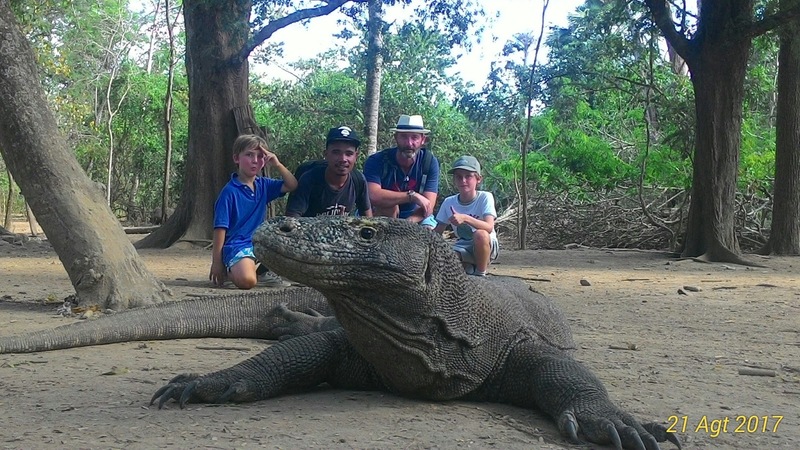 Although the Komodo Dragons are considered harmless, it is advisable to keep a safe distance from them. 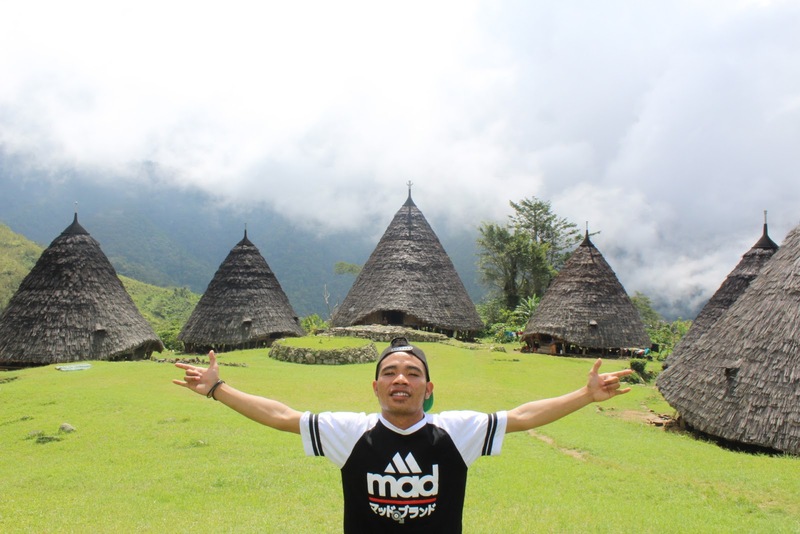 Wae Rebo village is one of tourism destination located in Manggarai Flores Nusa Tenggara province Indonesia. A unique traditional village located around 1126m above sea level which is surrounded by a green mountainous landscape. 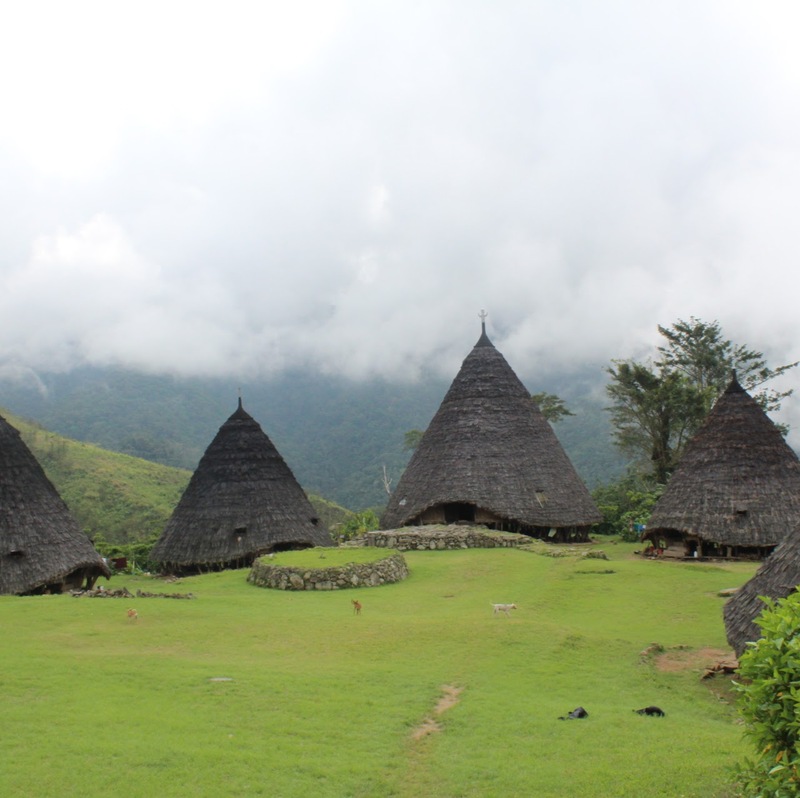 Wae Rebo consist of 7 traditional houses like conecal shaped or like pyramid in Mesir. The rich biodiversity in the forest, especially of birds, monkey and the different plants along the way, that makes the hike to the village with its welcoming inhabitants more adventurous and memorable. 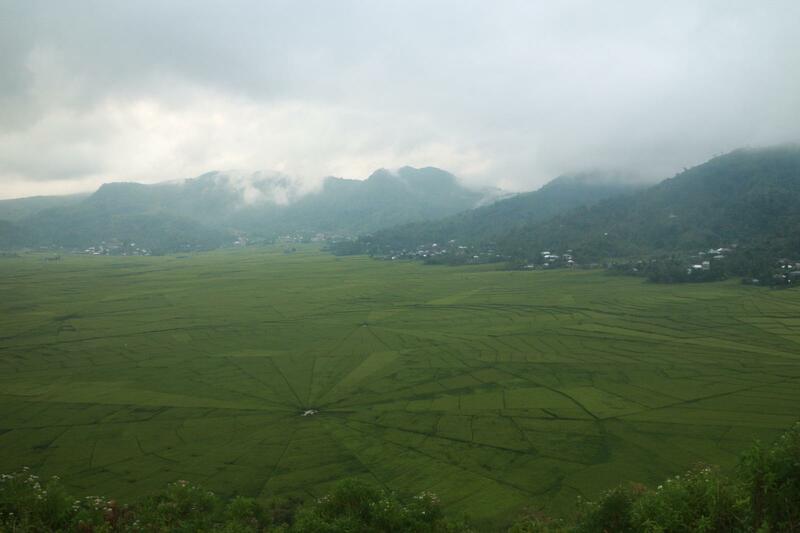 Wae Rebo is located southwest of Ruteng, its about 75km from the center of Ruteng town. it is driving through Golo lusang, Iteng, and ending in Denge. from Denge we have to treking around 6.5km.